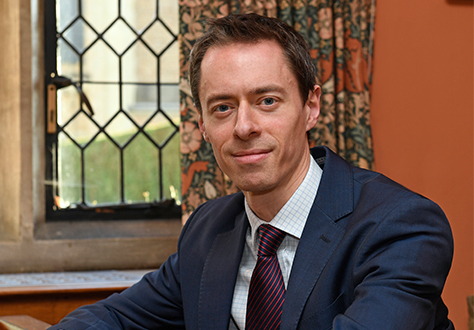 We are delighted to share the news that Mr Mark Begbie, our Director of Creative Arts and Theology, Philosophy and Ethics teacher, has been successfully nominated for the i25 Innovators and Influencers Award. The i25 Awards is an event to recognise the independent sector’s leading influencers and innovators who have made an impact in some way: the top 25. The innovation or influence should have captured the imagination of others, changed their behaviours, improved pedagogy or school management processes, and had a measurable positive impact on children and/or independent education in the UK and, ideally, be replicable in other schools. Mr Begbie has certainly demonstrated these attributes in abundance with his inspiring leadership of Artifex, our annual arts festival. Not only this, but in the academic sphere, Mr Begbie has initiated innovative programmes in pupil-led filmmaking where pupils have arranged and conducted interviews with ambassadors, BBC journalists such as Jeremy Bowen, Mark Mardell and Rory Cellan-Jones, print journalists at the Guardian, leaders at BAe systems and top professors in their field at Oxford, UCL and elsewhere. Mark will be attending the i25 Awards gala dinner in March at The Waldorf Hilton along with the other successful nominees, all of whom will vote live to choose the ‘best of the best’ winners. We wish Mark every success at the ceremony and hope he enjoys celebrating his outstanding contribution to Artifex and Charterhouse at the gala dinner. Artifex is the brainchild of Mr Begbie. From small beginnings five years ago, Artifex has grown from 18 events over four days in its first year, to 80 events over five days across multiple venues in 2018. What started out in the Headmaster’s garden now commands its own main stage within a geodesic dome and takes over half the School. In the early years, Mr Begbie provided the vision and enthusiasm vital to support the pioneering participants, but (unlike many entrepreneurs) he now wisely steers the overall direction of the event and lets it draw on the energy of an ever-growing cast. Bringing the School population together in celebration of creativity, he believes each year’s festival to be an opportunity for pupils to be leaders in the arts, demonstrating their talents and developing a rich array of other skills in the process. Along with a team of pupils, Mr Begbie has enabled the festival to take on the innovative form it holds today, continuing to be a vehicle in transforming the education sector’s approach to creativity and thrusting the arts into the forefront of education practices across the School. Most of the events are put on by groups of pupils that span several age groups in the School – giving them the chance to work with people they don’t see in the classroom day by day. Because Artifex is now a fixture in the School calendar you can see confidence growing in pupils from one year to the next: confidence in the event and its supportive environment, and confidence in themselves. Pupils learn how to stand up in front of others, to express themselves, to take creative risks and to use their imagination in an environment that encourages participation. It is a great place to try something, a safe place to explore the potential of failure as part of achieving success, but above all – it’s a fun way to see in the summer!